Note: Foreign language films marked below with an asterisk (*) will be accompanied by subtitle readers. Saturday Morning — January 28, 2012.
by Co Hoedeman, 14 mins, Canada, 1972. The story of two children and their encounter with an angry dragon, all represented by colorful building blocks. by Pablo Jordi, Veronica Lassenius, Spain, 2008. An animated series for pre-schoolers about the adventures of a creative group of friends who live on a beautiful island called Saari. In each episode, Pulpo the octopus, Buu the lady owl, the sensitive Pii, and Rikitiki the bohemian bird explore the fantastic and imaginary world of Saari, finding surprising and funny ways to face the challenges of childhood. by Vanda Raýmanová, 10 mins, Slovakia, 2010. A tale of courage and friendship about two boys who are born in an unknown place and decide to build a house to protect themselves from the wolf. Another short in the series. by Matt Devine of the Glue Society, 5 mins, Thailand, 2011. The kids that lived on an island in the south of Thailand called “Koh Panyee” loved to watch football but had nowhere to play. They didn’t let that stop them. by Todd Hemker, 2 mins, USA, 2009. Playing off “Murphy’s Laws of the Universe,” this film pokes fun at a boy who is very impressed with himself. by Enrico Casarosa, 7 mins, USA, 2011. 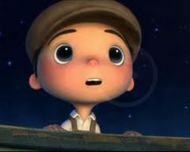 “La Luna” is the timeless fable of a young boy who is coming of age in the most peculiar of circumstances. Tonight is the very first time his Papa and Grandpa are taking him to work. In an old wooden boat they row far out to sea, and with no land in sight, they stop and wait. A big surprise awaits the little boy as he discovers his family’s most unusual line of work. Should he follow the example of his Papa, or his Grandpa? Will he be able to find his own way in the midst of their conflicting opinions and timeworn traditions? by William Mason, 28 mins, Canada, 1966. 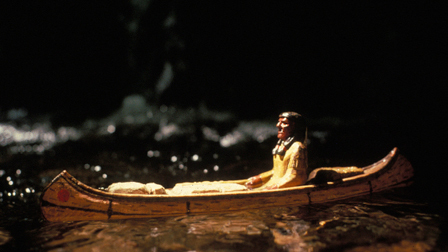 Based on Holling C. Holling’s Caldecott-awarded children’s book, this stunning film follows the adventures of a tiny, wood-carved canoe as it forges its own path from Lake Superior through the Great Lakes and down to the Atlantic Ocean. This Academy Award–nominated film is an unforgettable tribute to the forces of the natural world, as well as a thrilling journey across the waves and rapids of North America. by Albert Lamorisse, 39 mins, France, 1952. In the south of France, in a vast plain region called the Camargue, lives White Mane, a magnificent stallion and the leader of a herd of wild horses too proud to let themselves be broken by humans. 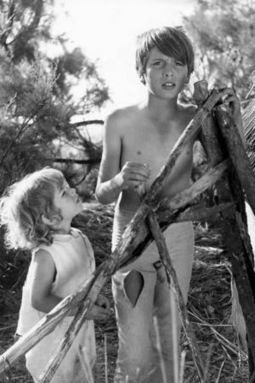 Only Folco, a young fisherman, manages to tame him. A strong friendship grows between the boy and the horse, as the two go looking for the freedom that the world of men won’t allow them. Saturday Afternoon — January 28, 2012.
by Bobby Heaney, 15 mins, South Africa. The story of a girl who wins her father’s heart, and her neighbours’, with her creative talents. by David Buob, 6.5 mins, Germany, 2011. The dream of the little girl is to care for her grandmother, but aunt and mother do not let her do so. There is just one way out. by Tamara Small, 10 mins, Australia, 2011. Shy, little Molly is determined to finish her big lunch before the siren sounds; an encounter with a new new kid brings the possibility of food, footy & friendship. by Léonard Cohen, 8 mins, France, 2010.
by Pernille Hellevik, 11 mins, Norway, 2011. While visiting his father for the holiday, little Filip discovers some girls playing outside, so he decides to make contact, only to discover that getting accepted proves to be quite a challenge! A sneak peek at footage from the BAICFF 2012 workshops. by Will Studd and Ed Patterson, 2 mins, UK, 2010. A microscopic character battles the perils of being small using the materials at hand and her wits. by Will Studd and Ed Patterson, 2 mins, UK, 2011. A fisherman catches more than he bargains for. Shot on location at Pendine Beach in South Wales, Gulp depicts a fisherman going about his daily catch. Every frame of this stop-motion animation was shot using a Nokia N8, with its 12 megapixel camera and Carl Zeiss optics. The film has broken a world record for the largest stop-motion animation set, with the largest scene stretching over 11,000 square feet. by Alain Gagnol and Jean-Loup Felicioli, 74 mins, France, 2010. Dino is a cat that leads a double life. By day he lives with Zoe, a little girl whose mother is a detective in the Parisian police force. But at night he sneaks out the window to work with Nico, a slinky cat burglar with a big heart, whose fluid movements are poetry in motion as he slips and swishes from rooftop to rooftop across the Paris skyline. The cat’s two worlds collide when young Zoe decides to follow Dino on his nocturnal adventures – and falls into the hands of Victor Costa, a blustery gangster planning the theft of a rare statue. Now cat and cat burglar must team up to save Zoe from the bumbling thieves, leading to a thrilling acrobatic finale on top of Notre Dame. 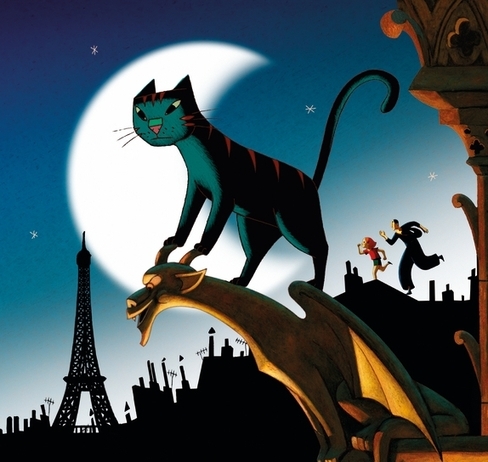 A Cat in Paris is a warm and richly humorous love letter to classic noir films and the stylized wit of the Pink Panther cartoons – and Dino the cat manages to steal the show with little more than a subtle swish of the tail and quiet mew. Sunday Morning — January 29, 2012.
by Grant Munro and Ron Tunis, 11 mins, Canada, 1966. A little boy’s exploration of the ways that different animals move. by Charlotte Blacker, 3.5 mins, UK, 2010. This is a short stop motion, knitted adventure about a boy and his cat who travel far and wide to deliver parcels in their little red plane. by Anna Solanas and Marc Riba, 8 mins, Spain, 2011.
by Verena Fels, 6 mins, Germany, 2010. Excluded from society, a cow takes its destiny into its own hoof and makes some waves. by Luvsan Ariunjargal, 6 mins, Mongolia. A portrayal of life in a rural Mongolian family. by Tetsuo Hirakawa, 75 mins, Japan, 2009. 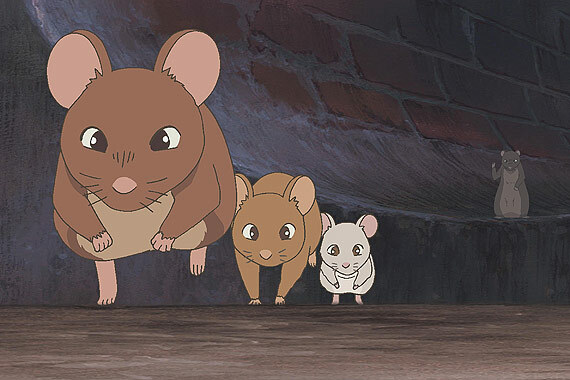 When their riverbank home is destroyed by a construction project, a family of rats is forced to flee to the city, where they must learn to navigate unfamiliar territory, make new friends and ward off dangers as they search for a new place to call home. This delightful animated adventure illustrates the power of friendship and family and the delicate balance of life. Sunday Afternoon — January 29, 2012.
by Nelson Boles, 4 mins, USA, 2011. A little boat is dropped in water and sent on a trying journey. by Juan Pablo Zaramella, 6 mins, Argentina, 2011.
by Marco Gianfreda, 15 mins, Italy, 2011. Tired of life, Ettore, 65 years old, everyday tries to find the courage to drive himself and his three wheeler down a country ditch. When Luca, his 10 year old nephew, finds out about his grandfather’s intentions, he decides to furtively follow him. by Kirsten Lepore, 5 mins, USA, 2010. The story of two unlikely penpals: one a mound of sand, the other a pile of snow. by Andy Mullins and Matt Mullins, 14 mins, Australia, 2010. Junior loves the ocean. Minnie loves Junior. A story about a little girl, a little boy and a big, blue sea. by Eric Slatkin, 8 mins, USA, 2011. For over ten years, Richard and Judith Selby Lang have been collecting plastic debris from Kehoe Beach in Northern California and using the found objects to create art. The results are pretty spectacular. by Signe Taylor, 81 mins, USA, 2011. 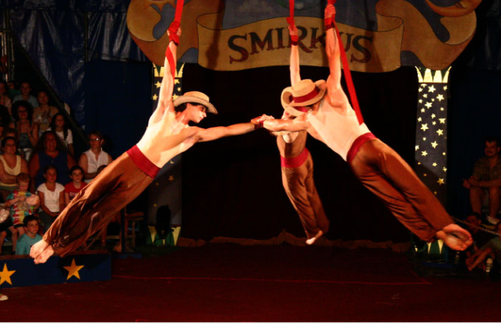 Circus Dreams documents a year in the life of Circus Smirkus, the only traveling youth circus in the United States. This vibrant feature documentary immerses viewers into the lives of the 12 to 18 year old performers, capturing their intense work ethic, passion for performance, deep friendships and budding loves. With a heartwarming story and great characters, Circus Dreams is an inspiring testament to the power of youthful dreams.